In his best-selling management book Good to Great: Why Some Companies Make the Leap… and Others Don’t, business consultant and lecturer Jim Collins said, “A culture of discipline is not a principle of business, it is a principle of greatness.” We all know the deal: in order for a company to succeed, discipline should sit at its core. No one should lose sight of the predefined vision and values. As HR managers and leaders, we’re tasked to make everyone understand that discipline, together with excellence, should become the norm. But how do we effectively relay this message to our employees? How do we take care of those who need coaching and guidance? These were answered by human capital consultant and HR guru Darwin Rivers last August 3, in our most recent Happy Hour for HR. In his engaging presentation, Darwin walked us through the essence of discipline: obedience and disobedience, external (company) and internal (self) discipline. He also gave us a process to follow in order to cultivate disciplined habits in the workplace. The process is similar to the progressive coaching approach introduced by business and professional leadership expert Dr. Bob Rausch. It consists of five Cs: Communicate, Concern, Coach, Consequence, Celebrate. According to Rausch, these five actions will help us manage difficult and underperforming employees without having to confront them. They put both behavior and performance on the right track. Let’s take a quick look at what each word means. Help employees see the bigger picture by making them realize the impact of their decisions and actions on the entire company. Engage them in an honest conversation. In the context of a coaching session, this is where you’ll probe and check whether they perfectly understand what their responsibilities are (if you intend to help them improve their performance) or what they did (if you want to correct an action or behavior). You can then ask them how they think they’re faring, why they committed a misbehavior or failed to hit a goal (despite their awareness of the rules or performance standards), or what they believe they should improve on. The idea is to have your employees tell you these details so you can gauge whether you’re simply not on the same page or there are other factors to address. Of course, you should intervene when they’re unable to provide the answers. Let your employees know that you’re checking on them out of concern. If they’re fully aware of the gravity of their misconduct or shortcoming – and of what they can do about it – tell them you’re worried about how they’re still unable or unwilling to do the right thing. Take time to explain the importance of getting the job done or the action corrected, and don’t forget to ask them what you can do to help them out. 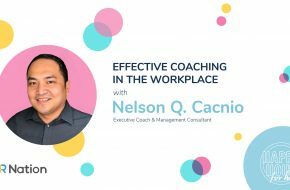 Coaching, says Rausch, means unlocking your employees’ potentials and helping them become better at their roles. It also involves tracking people’s progress, which you can’t do without initially setting targets. This is the part where you and your employees can agree on goals. One best practice is to set goals based on the S.M.A.R.T. criteria: Specific, Measurable, Attainable, Realistic, and Time-bound. Make sure to put everything on paper. Have your employees sign a document that indicates the S.M.A.R.T. goal (or goals) you’ve agreed upon. That document will serve as your reference on your next coaching session. Coaching, of course, has its limits. When you don’t get your desired results after you’ve exhausted all the means to help an employee out, let the rules and sanctions take over. No dedicated and well-intentioned manager wants to see an employee undergo a performance review and fail. Letting go of people is one of the toughest things that we have in our job descriptions. But what some leaders fail to think when they reach this part of the process is that nothing good can ever come out of freeing up a person’s future. As far as careers go, a termination can turn out to be a good redirection. If an employee’s really not cut out for a role, letting him or her go may be the best option. But what if your employees hit their goals or succeed in correcting a behavior issue? Then it’s time to show your appreciation for how they did. Celebrate! After all, their improvement is as much about their discipline and hard work as it is about your dedication as manager or leader. 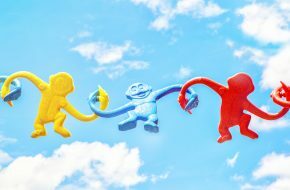 These five steps are meant to be taken one at a time, but in the end, we’re all free to adopt them based on how they’ll fit into our company’s culture. The important thing is to address behavioral or performance issues head on. With the five Cs up your sleeve, you’ll know what to do as soon as you’re faced with a difficult or underperforming employee. No need to wait long, tiptoe around the ugly situation, and waste a sizable amount of time, money, and effort.